It was perfect timing when I got this invite to visit Four Seasons Vineyard. Last few weeks were quite hectic without any travel plans and this came out as a best option. I had never been to a vineyard before and was really looking forward to this trip. 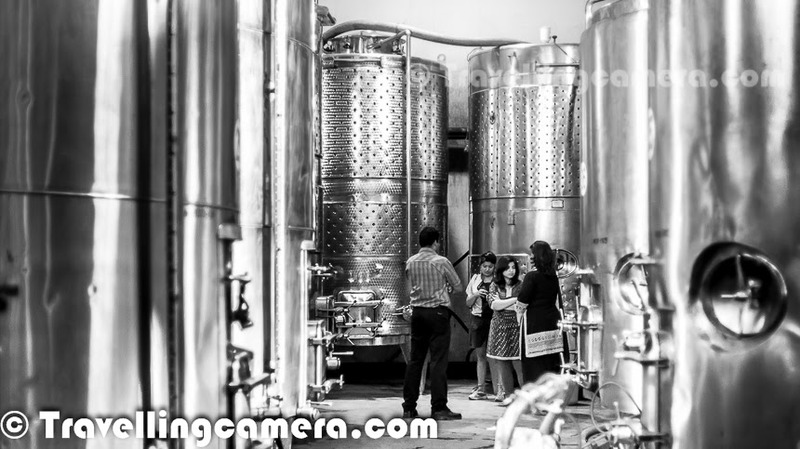 Four Seasons is one of the well known wine producer in India and I really wanted to see how they process their wines. 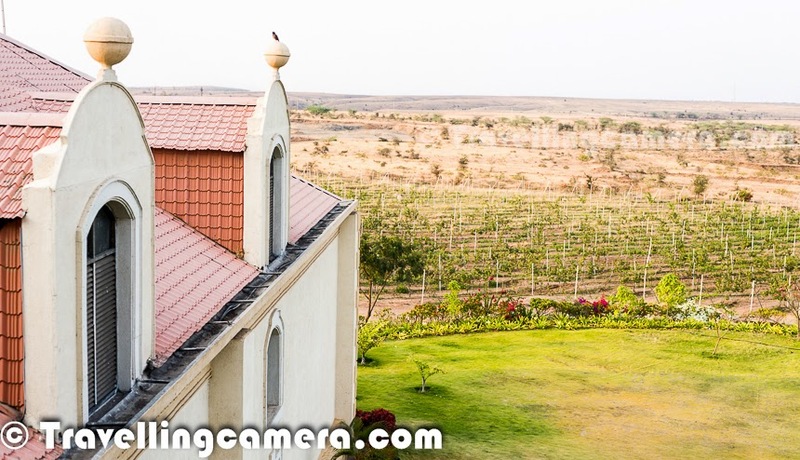 This Photo Journey shares this experience of Four Seasons Vineyard in Baramati ( Maharashtra, India). After sorting other things in Delhi, we reached Pune on 19th Feb and headed towards Baramati via Taxi. Four Seasons flew us to Pune from new Delhi. Few more bloggers had come from Banglore and Mumbai. It was a cool drive through countryside full of grape & sugarcane farms all around. 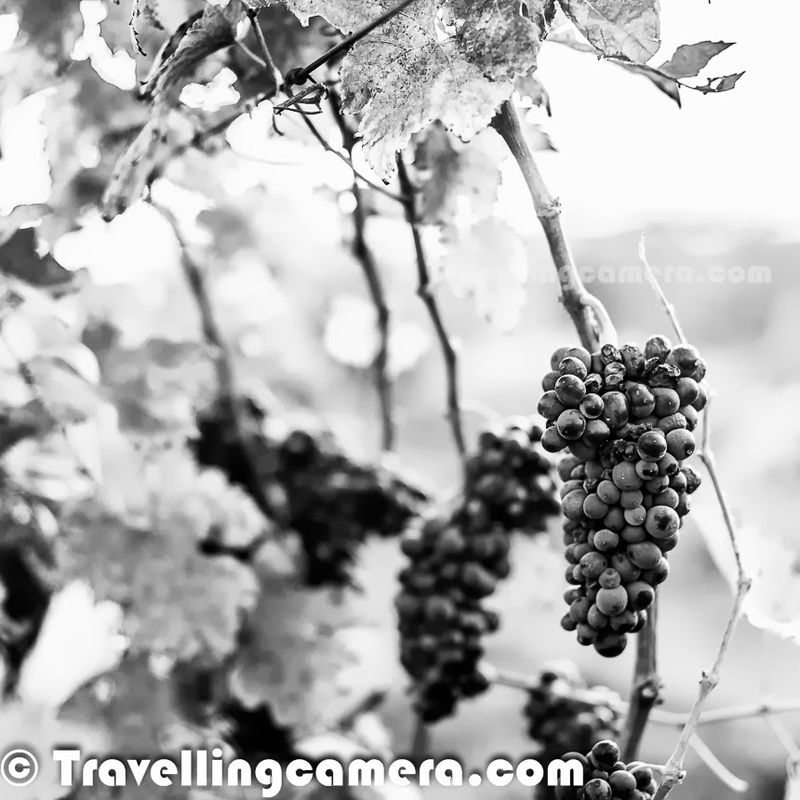 This is harvest season of grapes as well as sugarcane, so lot of activities were happening along the road. 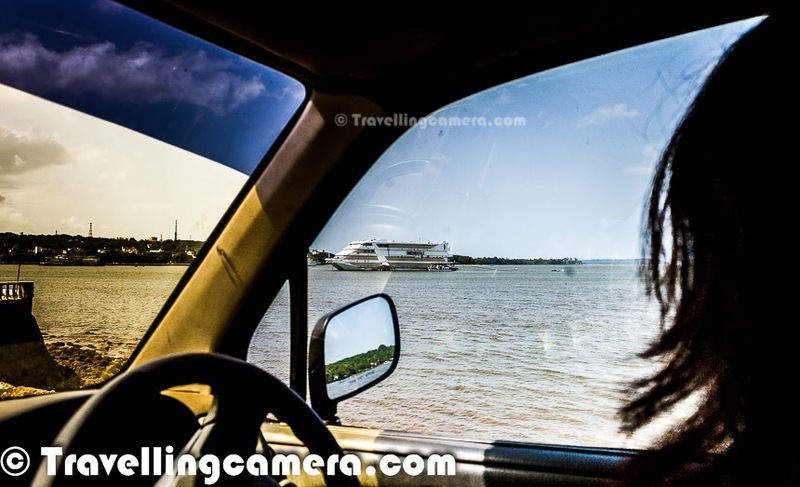 There is a highway which connects Pune to Baramati, but to save time our driver Mr Kamrudin took a different route which was very scenic. After a drive of 2 hrs, we reached the vineyard which is not exactly in Baramati town, but located 30 kilometers from the main town. Four Seasons Vineyard is spread over 55 acres of land with a beautiful winery in the middle of it. Reached this huge campus of Four Seasons Vineyard in Baramati region of Maharashtra. Above photograph shows the view of vineyard from reception area. Not sure if you would be able to figure out the gate on other end which shows the boundry of this 55 acres vineyard. Different types of grapes were hanging all around the place with exotic name tags around the boundaries. After having a quick sight of the place, we headed for refreshing welcome drink at reception. It was time to head towards our rooms and gear up for lot of exciting activities. Lunch was arranged at the vineyard and Chef Hitesh Gautam had come from Hyatt Banglore to Baramati to meet the bloggers & help them understand the wine-food pairing. 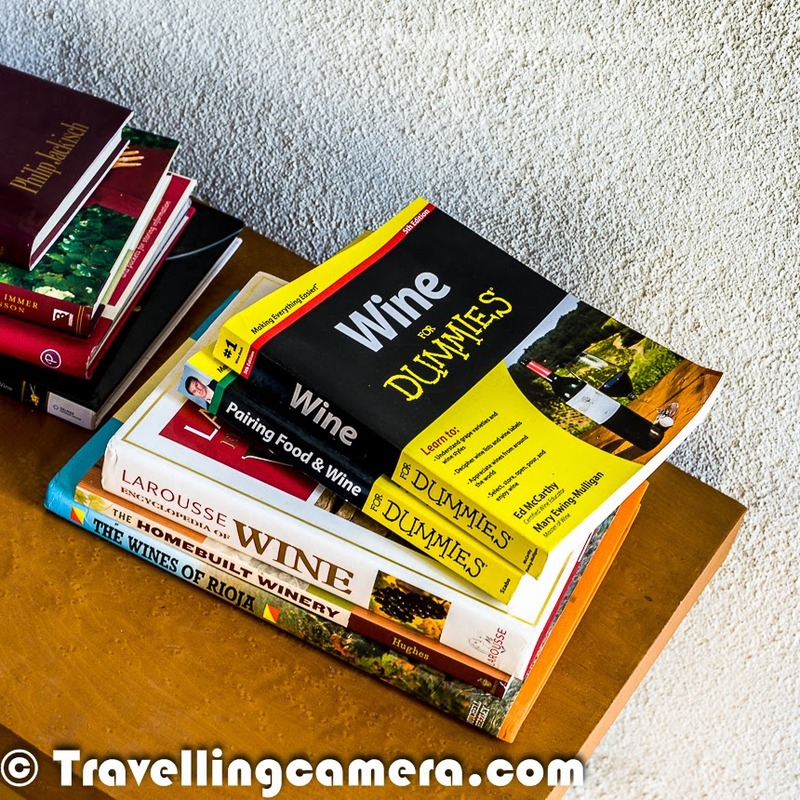 He introduced us to different types of Indian preparations and did appropriate wine pairing for us. 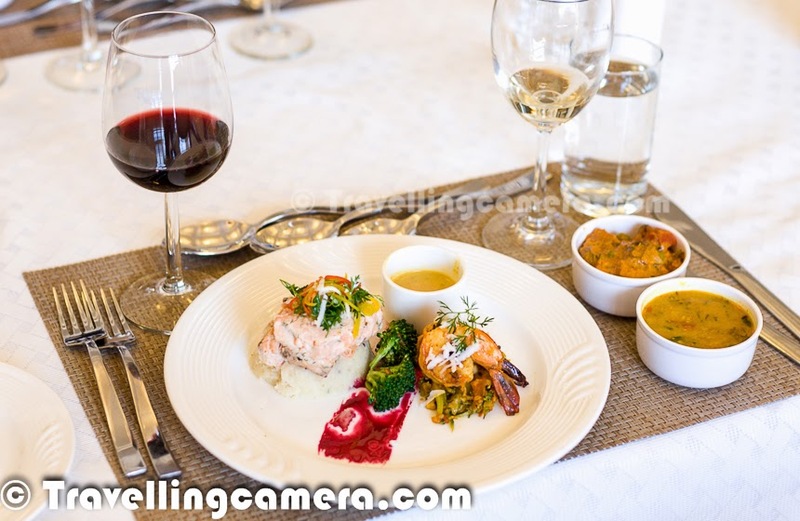 Dining sessions with appropriate wines was one of the exciting things during this visit and I personally loved the way Chef Hitesh put his best efforts in making things rock every time. 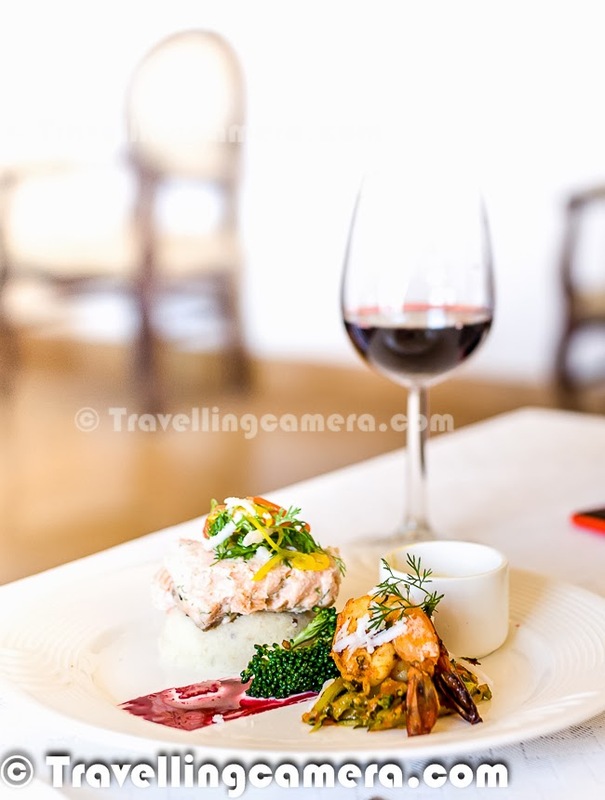 Probably I would share a separate post on the food served with various Four Seasons wines during lunch and dinner at the vineyard. Here is the gang of Delhi and Banglore Bloggers with Mr Bala. 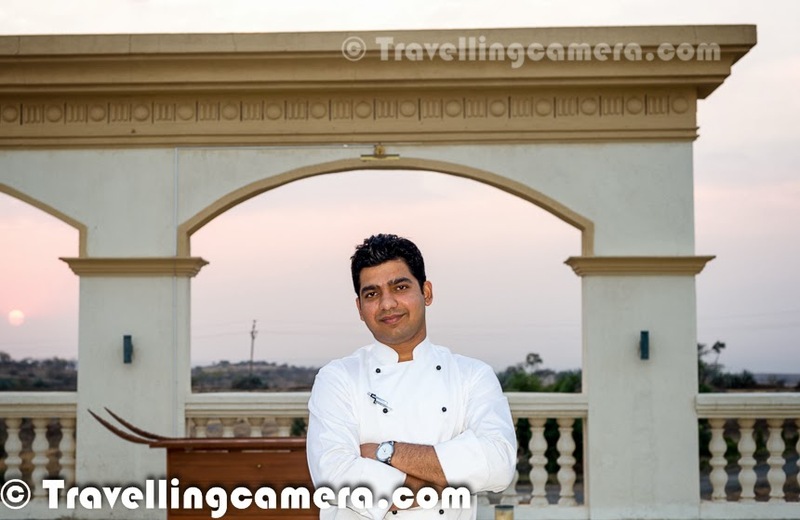 Chef Hitesh Gautam is there on left image, who offered great food-wine pairings during the lunch. 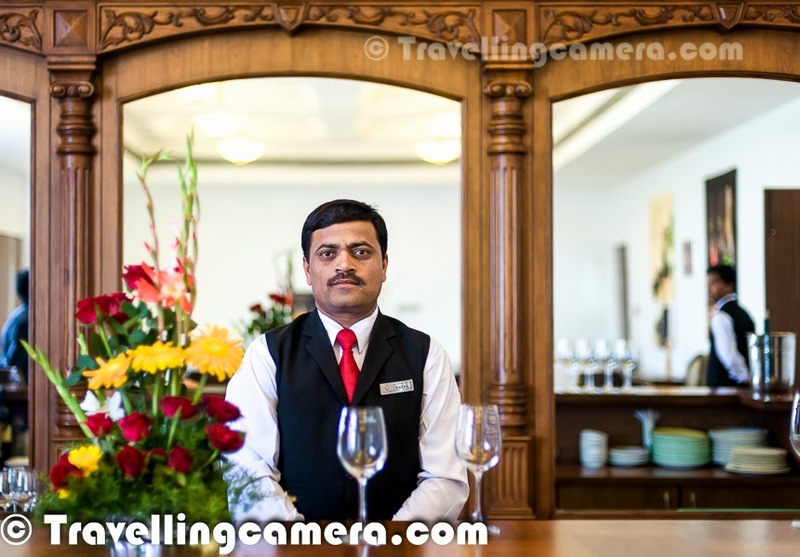 And Mr. Datta on right image, who served us all the wines while Mr. Bala was explaining us about various Four Seasons wines. 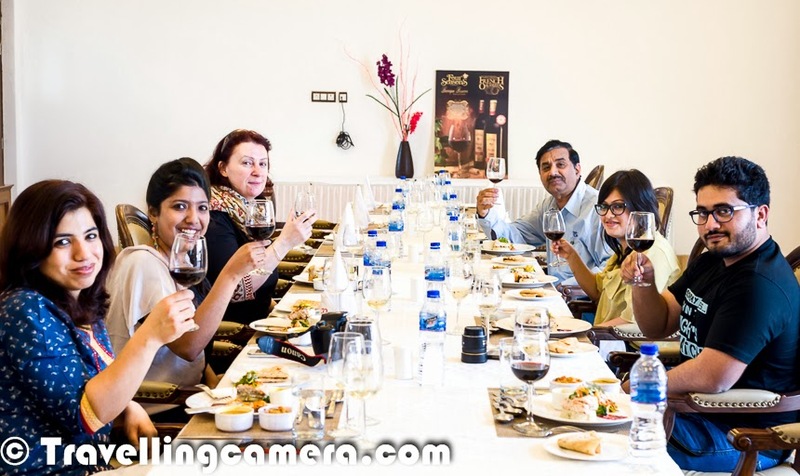 Apart from Four Seasons, we also tried 'Ritu' wines during the lunch. After some rest, we headed to understand the 5 step wine making process. Grapes are harvested and brought to the winery. Some grapes are grown in this campus and lot of material is brought from other farms as well. Next step is to sort these grapes and pass through crushing machine to get juice which is transferred to these huge stainless steel tanks for fermentation. 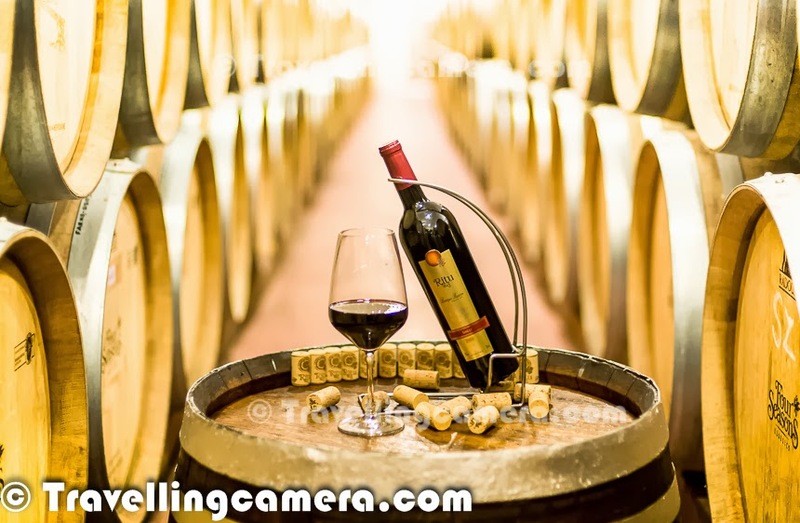 After fermentation process, wine is stabilized and then filtered. 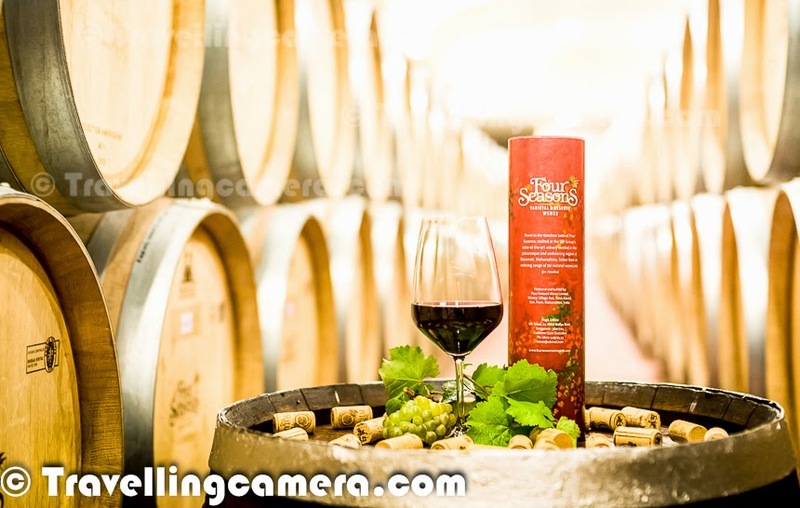 This filtered wine is transferred to barrels for maturation, but not every wine is put in barrels for maturation and also the quality of barrels varies for different kind of wines. Finally this wine is bottled and distributed to the customers through various channels. This is a very top level overview of the way wine is made. But there is a long process to be followed to produce good wine and that's what we understood from this visit. 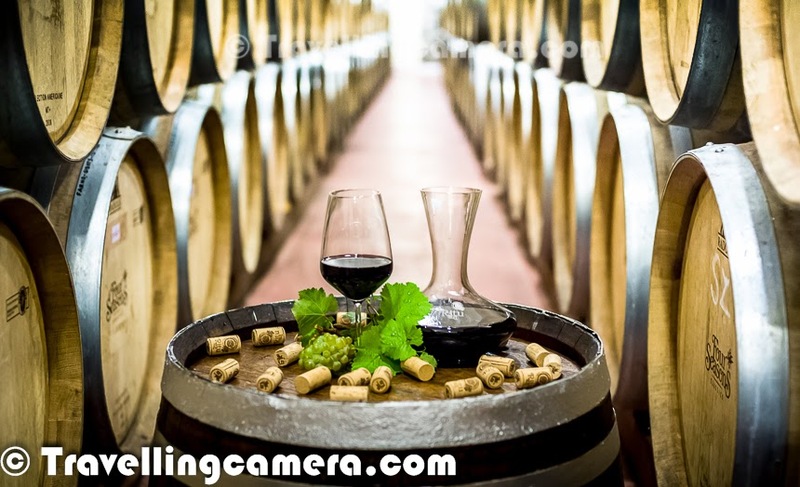 Each of these stages of creating wine have various quality assurance steps. 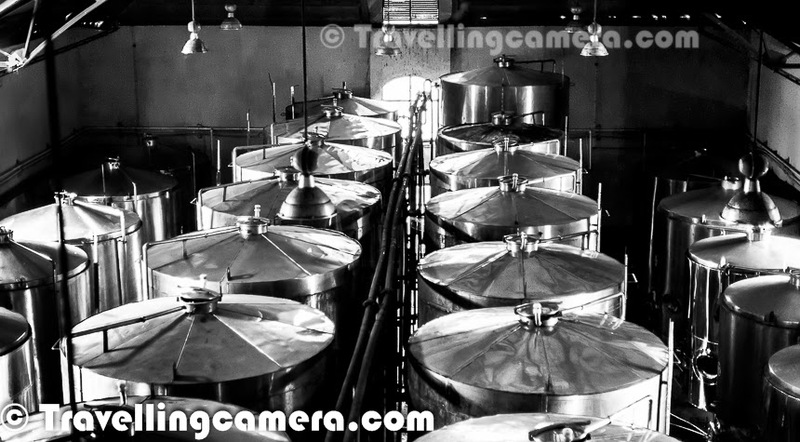 The huge fermentation tanks you see in above photographs are temperature controlled. Pneumatic Press machine is used for crushing wine grapes. Supposedly this machine is considered as one of the best machines to handle grapes in gentle way, in absence of oxygen to maintain the quality. 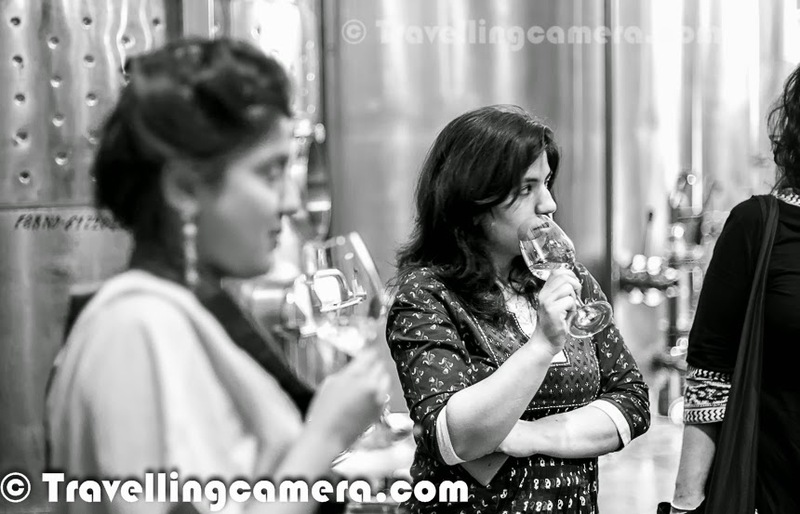 During these conversations Mr Raghu clarified lot of our confusions about wine. The way wine bottles should be put, why/why-not, type of wines, the way they should be consumed etc. All the barrels at Four Seasons Winery are imported from France. 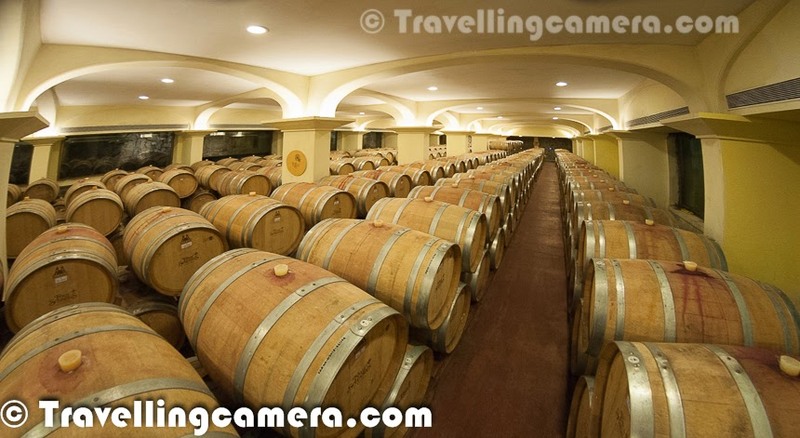 These are made up of oak, which is considered as best wood to make barrels for wine-making. 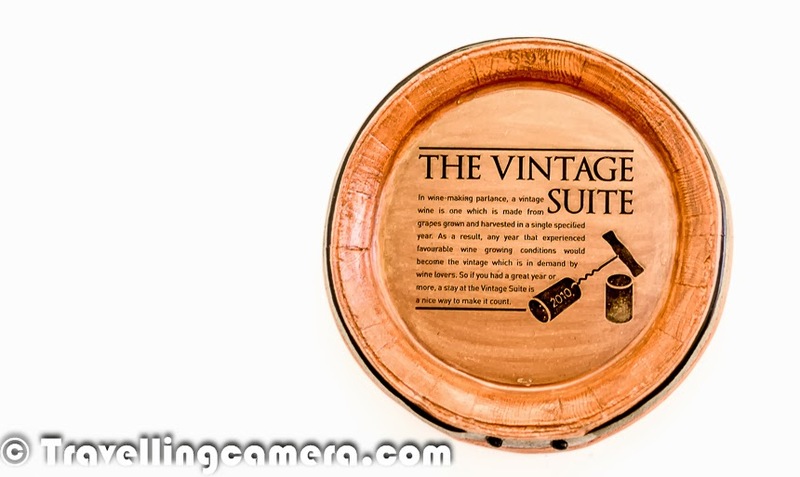 It seems that maturing & aging of wine in oak barrels smoothen out the tannins. During the visit, Mr Raghu also shared various facts about different types or barrels and difference between barrels used for whiskey & wine. 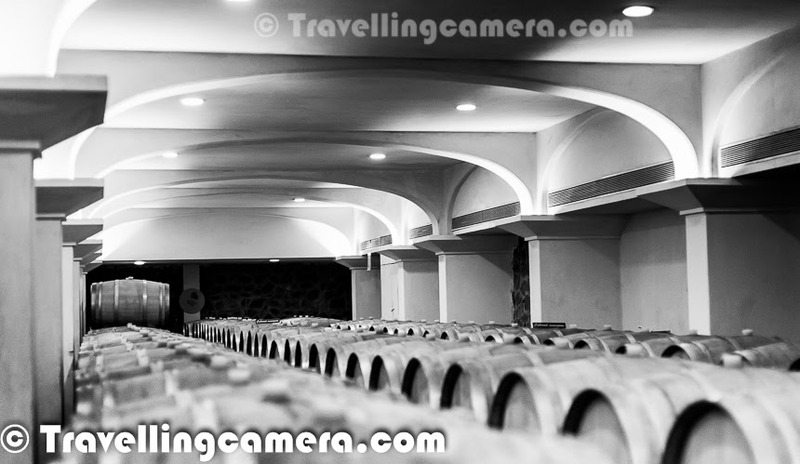 Wine is kept in these barrels for long durations and duration varies from one type of wine to the other. 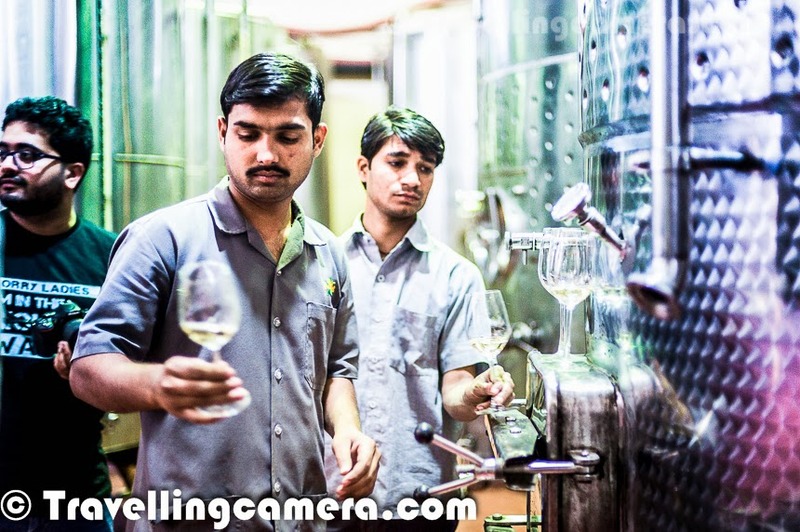 Throughout the process, wine is monitored on regular basis to ensure that things are going in right way. 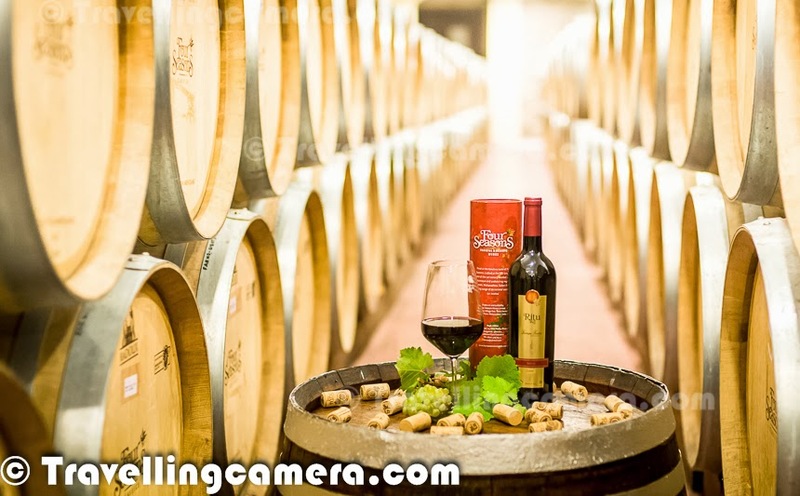 With time, quality team also figures out that some of the barrels are doing pretty good, which are used for premium wines later and some needed to be discarded as well. On regular basis, wine is taken from these barrels and tested in lab for acidity & other relevant parameters to ensure that it's maturing in the way team wants it to be. Bottling unit in this wineyard is also used for Golconda premium. 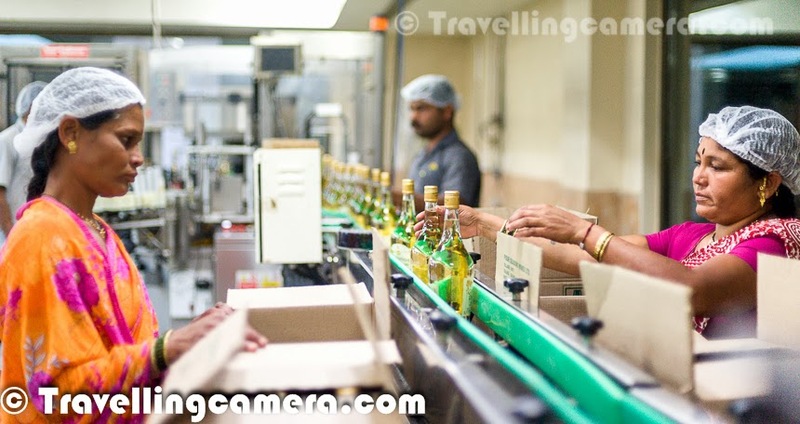 When we entered into the bottling hall, Golconda was being bottled & labeled. 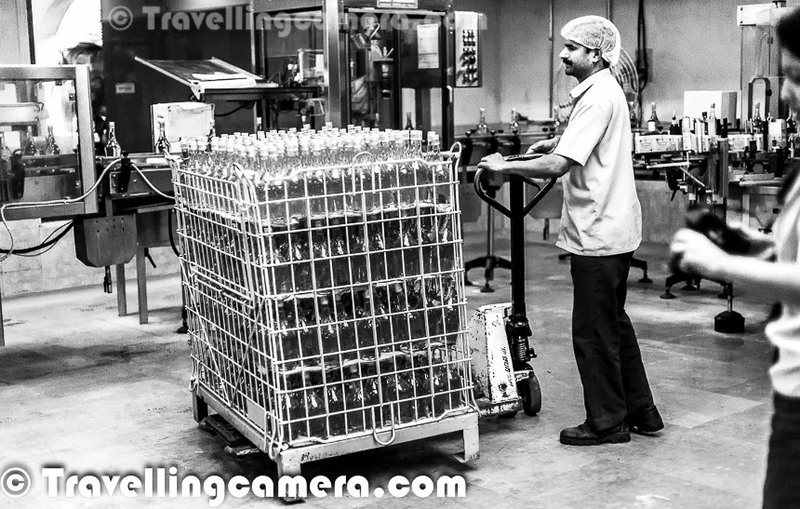 This bottling unit is imported from Italy and has a capacity of bottling 2500 bottles in an hour. It's fully automated. At each stage, people ensure that each bottle is properly cleaned, filled, closed or labelled. If there is some problem, bottle is removed form the queue. Apart from that few bottles go to the lab to check that cap/cork is appropriately put on top of bottle. There are some standards to ensure the pressure. Idea is not to have them loose or very tight on wine bottles. During this whole session of understanding wine making process, we tried 6-7 more types of wines - some from barrels with 4-5 year old wine, few from fermentation tanks & grape juice. Personally I hated the grape juice and wine from fermented tanks. One of the old Shiraz wine was amazing. This was first time when I was really able to appreciate the aroma of a wine. This one had subtle aromas of oak wood with decent smoothness. Also acidity was perfect for me to consume. I was about to ask if I can have a bottle from that barrel, but stopped my emotions :) . 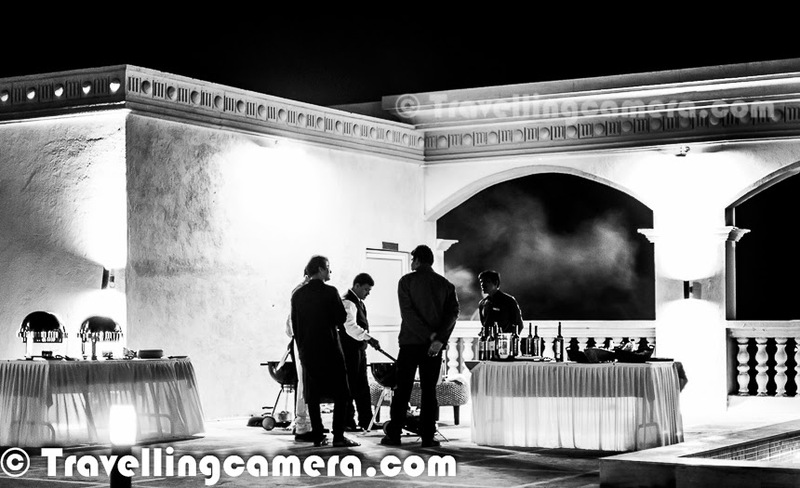 At the end Raghu told us that more wine will be served with bar-b-Que and especially the sparking wines :) .. It was the time, when we already had 12-14 glasses of different types of wines. Of-course, some of them were kept aside after few sips. After a brief tour of the winery, we took an extended tour of the property. This Vineyard has 10 rooms and 4 suites, all of them beautifully done and give a feel that you are living in a Vineyard. 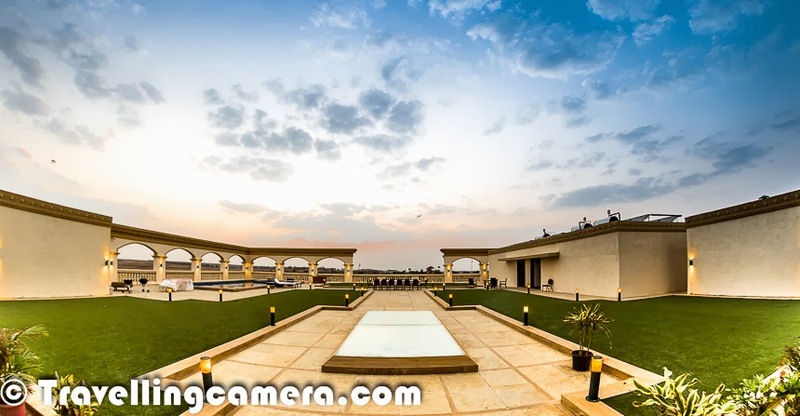 There is a huge palace like complex in the vineyard which has all these rooms and there are plans to expand the capacity so that larger groups can also come and enjoy the experience to spend time in a vineyard. Apart from that, this vineyard has a swimming pool, party deck with lawns, terrace and a spa which is not yet functional. 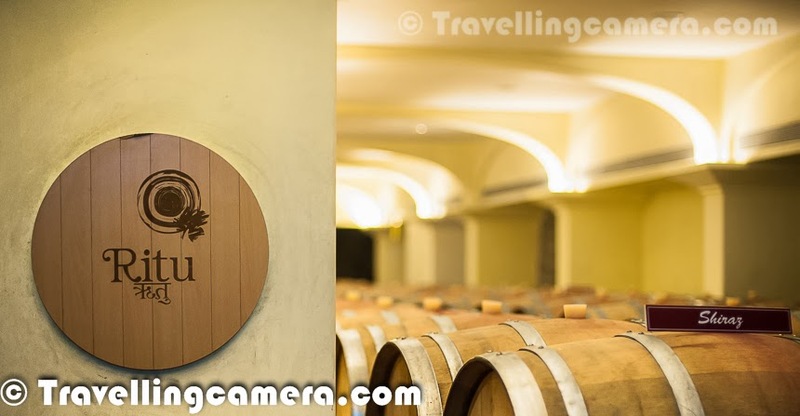 In this winery, wines are made from grapes grown in Sahyadri valley of Maharashtra State in India. 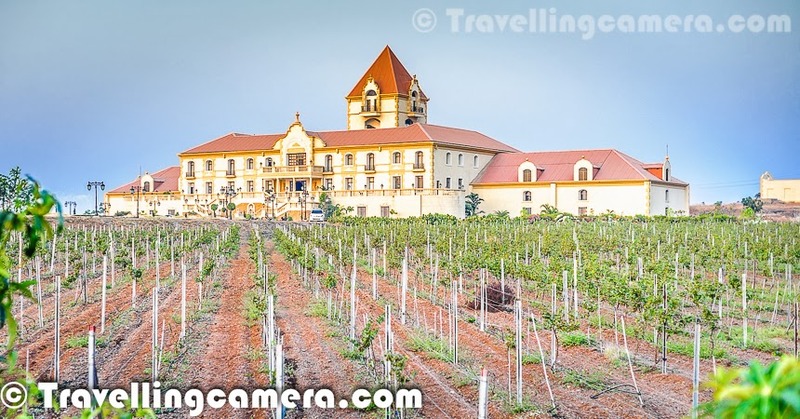 This Four Seasons Winery is located at ~65 kilometers from Pune and ~30 kilometers from Baramati. There is a multistory tower in this complex which gives amazing views of the vineyard and forest area behind it. In this tower, plans are to make a sports room on one floor, Library with wine lounge on another floor and some exciting plans under discussion with hospitality partners, who were there at the property when we visited. 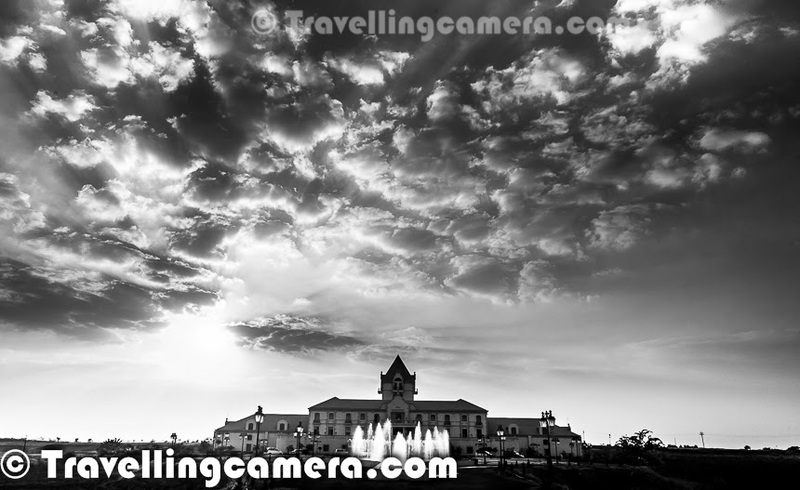 In long run, idea is to open this place for tourists to come and have an unmatchable experience. 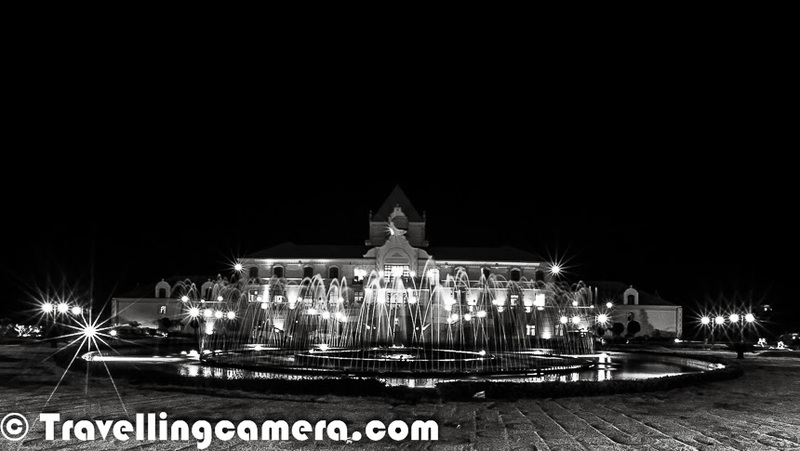 During night, this campus looks awesome. I should admit that I could not do justice to the beauty of the place and I also have series of excuses ready with me :) . Anyways, I will not discuss them here but want to share the fact that night photographs are shot by using a plastic table as tripod :). I forgot take my tripod with me. 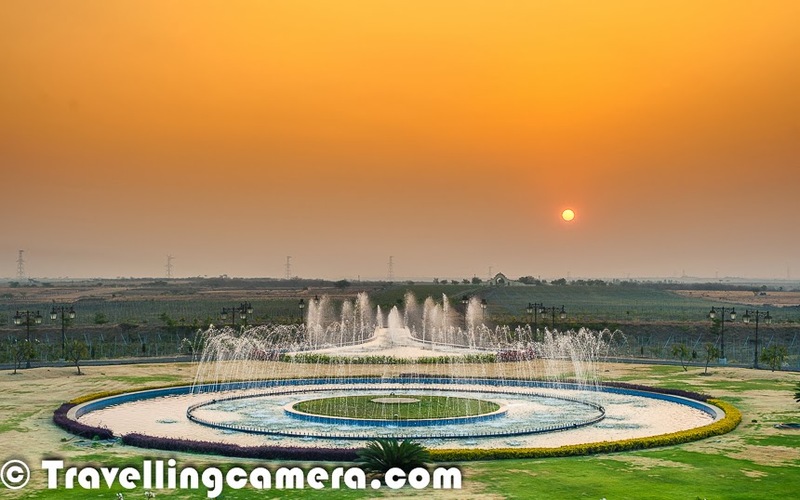 These series of fountains in front of Four Seasons Winery look amazing and at the same time, I wish that grass would have been maintained in better way :) . These lawns are looking worse in the photographs and that's one of the main reason that I have included very few of the shots I took around these fountains. This was the time when everyone was enjoying high tea on the front balcony of main restaurant. 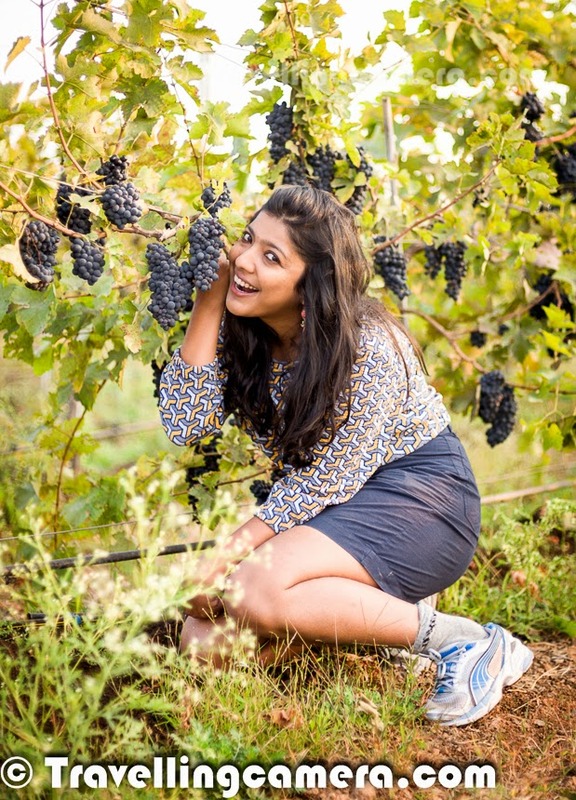 Few of the bloggers had stepped down to meet two attention seeking dogs in this vineyard. Soon after we headed towards the swimming pool and lawn areas around it. It was getting windy, so we had to grab some warm cloths before hitting the next venue for enjoying wine with snacks served by Chef Hitesh Gautam. All the snacks were served on terrace gardens by the pool with live music performance. I thoroughy enjoyed the performances. Different wines accompanied us during this evening but Shiraz was the one that was there with me till 1:00 am. It was great to interact with Chef during the evening and know more about him & his profession. The beautiful evening ended with empty glasses all around and most of us were excited about morning walk in the grape farms with different varieties of grapes growing. 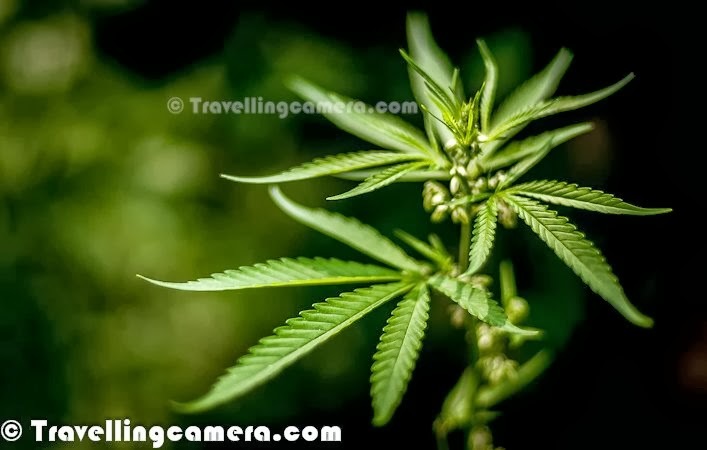 We also planned to visit the forest on back side because Mr. Bala had shown us some photographs of forest having dears and hyenas. Next day started for us at 7am and as per plan, we were late. So first we walked around the grape farms having different varieties like - Chenin Blanc, Cabernet Sauvignon, Shiraz etc. 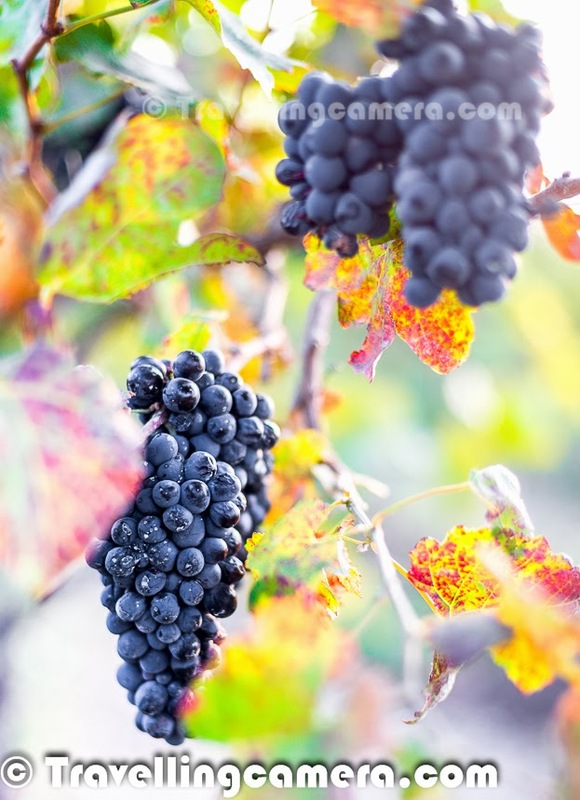 Apart from these various other types of grapes are used to produce Four Seasons wine at this Winery. These include - Viognier, Merlot, Zinfadel, Sauvignon Blanc. These grapes were not very photogenic, but as we moved we came across some decent sized Zinfadel grapes. Finally we ended up spending lot of time than what we had planned, but it was all worth. We had fun in grape farms. We tasted few of them but believe me, none of them tasted like what we consume in our routine life. It seems these particular grapes are more acidic and of-course they were not ready to consume yet. 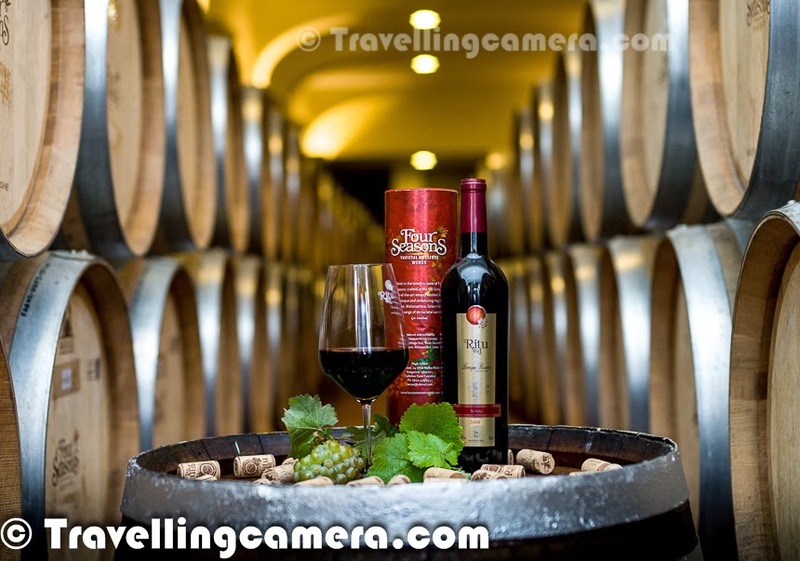 Four Seasons has a good range of wines including - Merlot, Shiraz, Cabernet Sauvignon, Viognier, Sauignon Blanc & Blush. My personal favorite is Four Seasons Chiraz which has a ruby-red classic shade with it's unique blend of violets & raspberries infused with spice & smoky character. 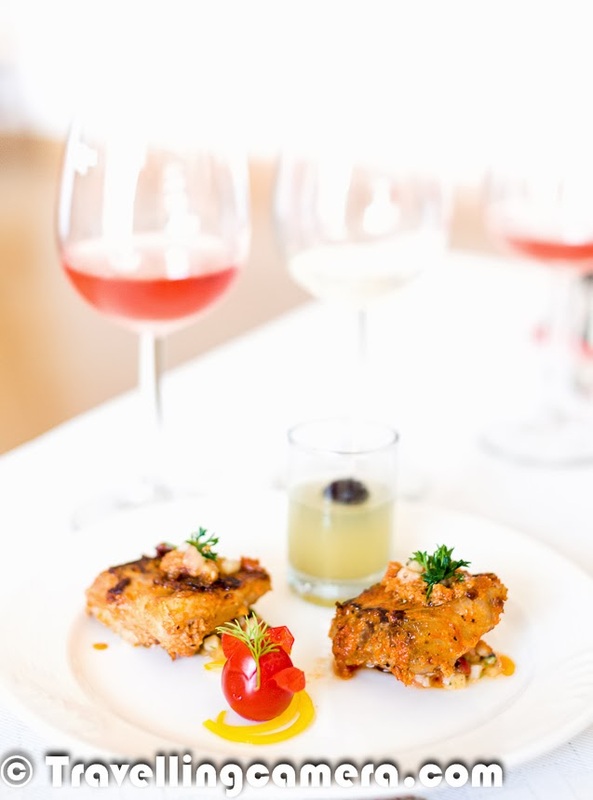 Shiraz makes it an ideal accomplishment to Indian cuisine, particulary tandoori meats and biryani. It's always fun to have Shiraz with friends over bar-be-que. We also tried 'Ritu' wines which is an award winning international brand. 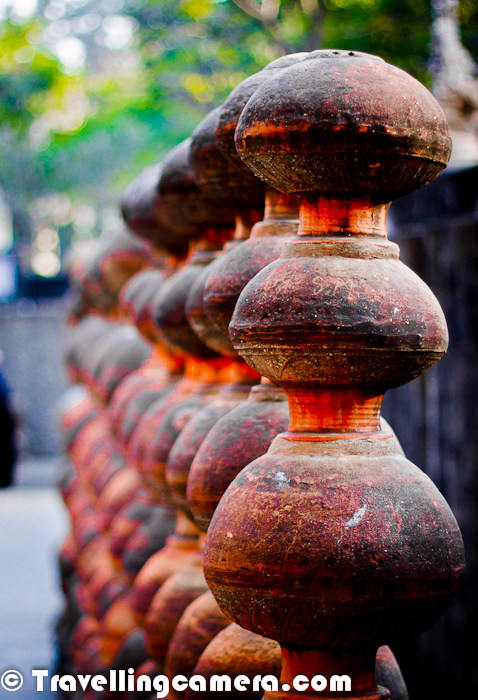 'Ritu' is a hindi word which means 'Season'. 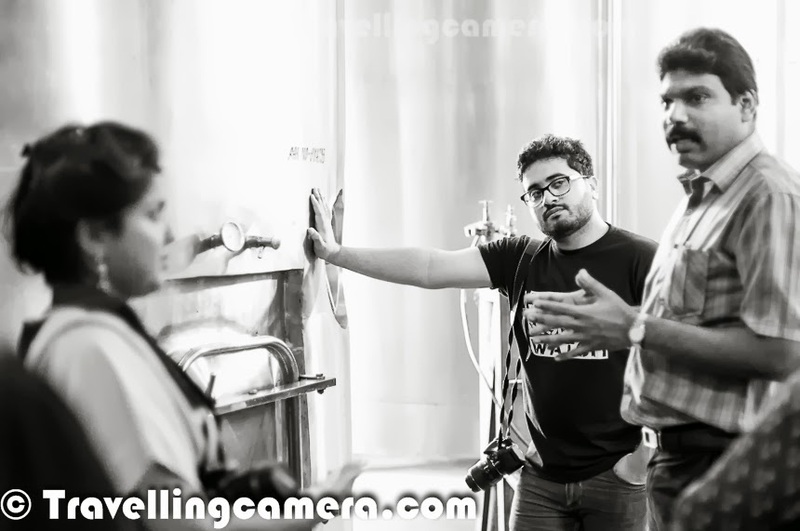 India’s most experienced wine maker Abhay Kewadkar joined us on last day. After having lunch with Mr Kewadkar, we moved our journey back to Pune. It was time to rewind the Vineyard memories during 2 hours drive with other bloggers. When we thought again about these two days, everything looked very hectic but it was all worth it. 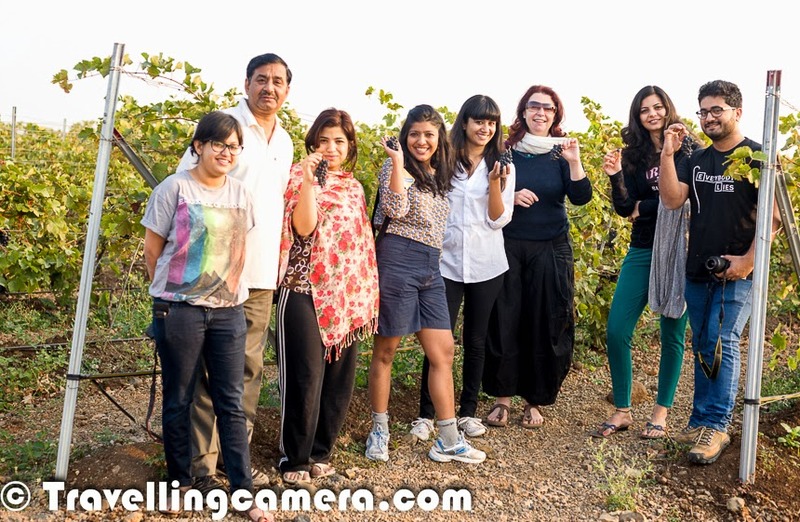 It was a great opportunity to learn, a special experience to stay in a Vineyard and lot more. I am sure that it would be one of the special experiences of 2014 for me. Thanks to Four Seasons Team for wonderful stay at the Vineyard and to all the bloggers for great company. Totally Loved the pictures and the blog adds on the temptation. 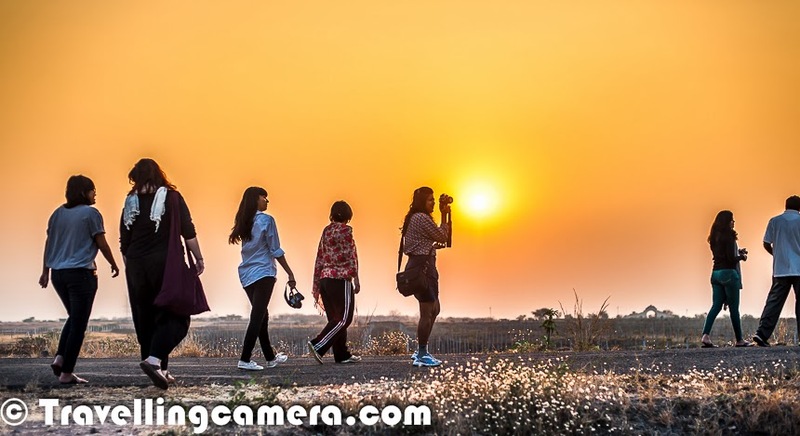 Thanks for sharing an amazing photo journey! Doc Saab - You are forgetting that alcohol increases the productivity :) .. Anyways, how are things at your end? 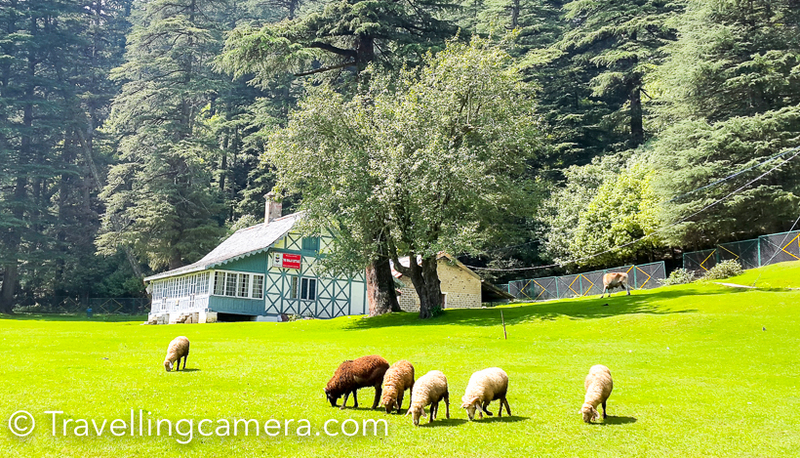 Are you going for MTB Shimla? 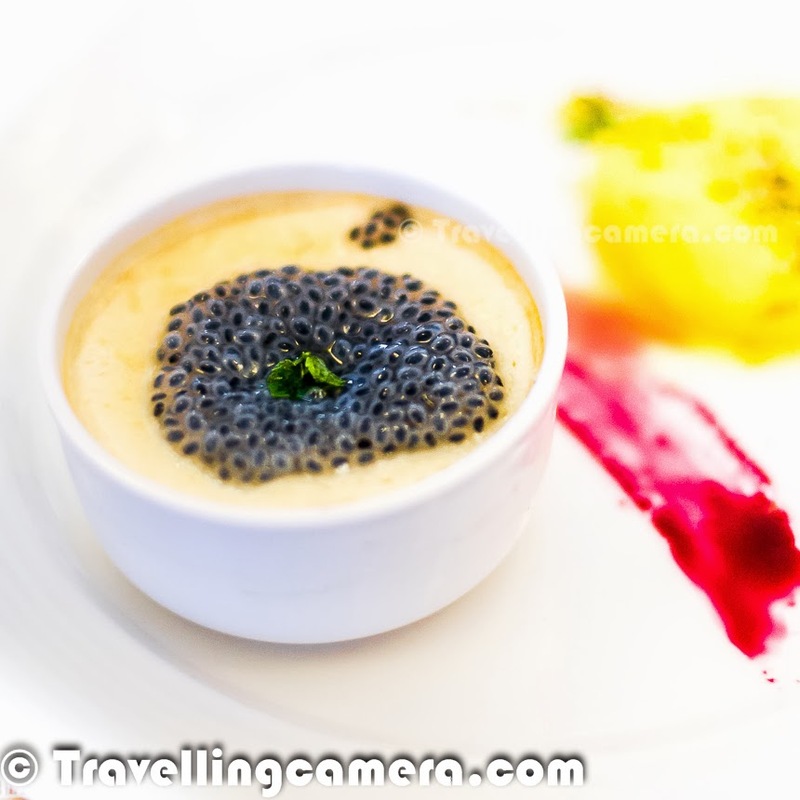 @Bhavna - Thanks :) .. Now I wait for your comments after publishing such posts on the blog. I really appreciate your encouragement. Beautiful and perfect work !!! Amazing pictures! You are simply the brilliant one! I think you also have visited the place? It was a very good experience ! 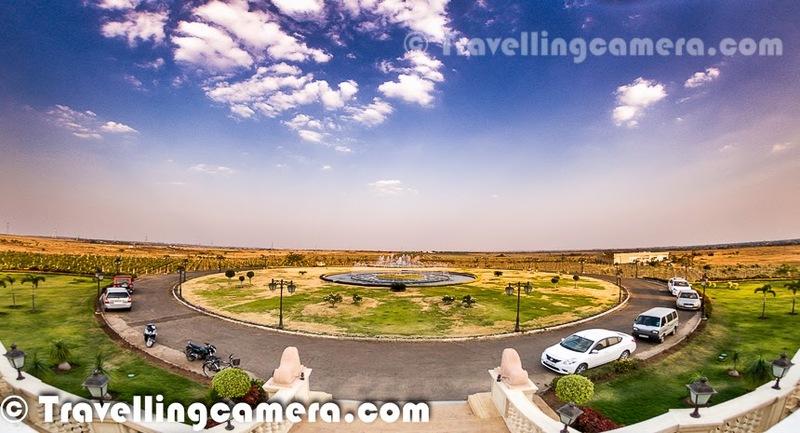 I agree, Baramati has tons of great things to see and do! I had visited the place last summer with family and it was truly an amazing experience. Especially the vineyard, just as you described here. Will stick around for more posts like this! 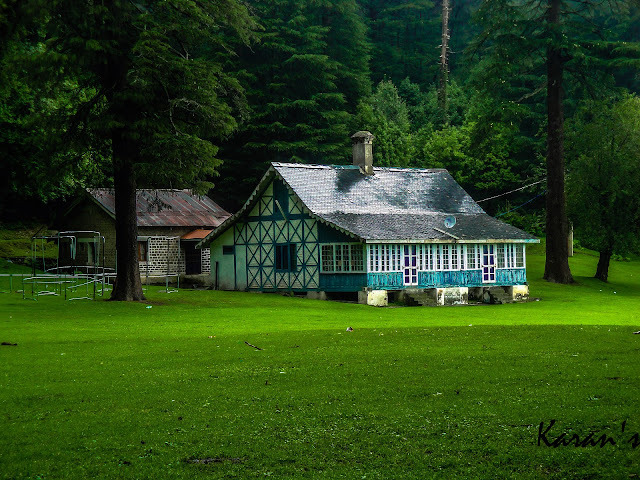 Excellent place in each and every sense. A must visit. Very good staff, excellent ambience, tasty food etc. Words are incomplete to describe the place. Just go and enjoy.